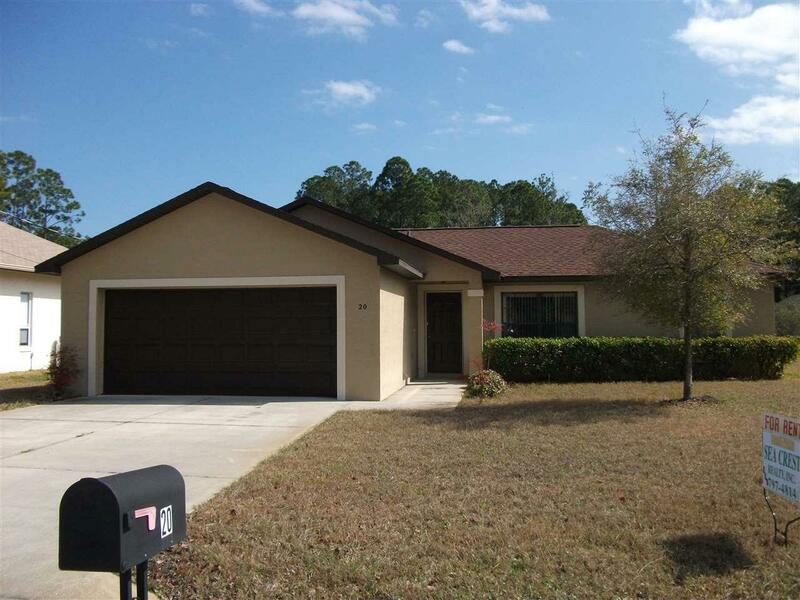 Enjoy spending your days in an established neighborhood in the B section of Palm Coast. This location is ideal for an easy commute to St. Augustine. Top 5 Features: Clean 3/2 with 1,250 SF, Split Bedroom Plan, Open Concept Kitchen, Covered Patio Area, 2 Car Garage with Opener No pets and no smoking. Long-term lease is preferred. Formal application includes: a detailed credit report, employment & income verification, background check, and rental references. Listing courtesy of Sea Crest Realty.